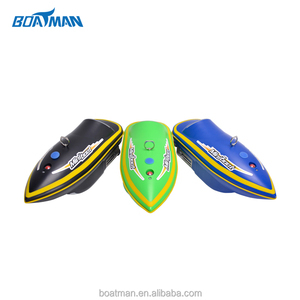 1 YRS Zhejiang Luckysmart Manufacturer Co., Ltd.
10 YRS Shenzhen Keleer Technology Development Co., Ltd.
6 YRS Shenzhen IME Technology Co., Ltd.
2.Use a float on the cable to mount the sonar inside the water. 3.Fix it on a pole and push it into the desirable position inside the water. 4.Cut a hole on the ice surface and place the sonar under the water. Q: What's the lead time9 A:If we have stocks of the item you need, we can send goods to you within 3-5 working days after 100% payment into our bank account. Q: What is your Minimum Order Quantity9 A: We sell you at least 10pcs for each item in normal order, but we also accept the sample order. Q: What&rsquo;s your agency/distributor policy9 A: We have too many different policies according to target markets, so please send email for detailed discussion or talk face to face. 2 YRS Jinhua Lucky Et Manufacturer Co., Ltd.
2 YRS Shenzhen Boatman Technology Co., Ltd.
1 YRS Shenzhen Woshijie Electronic Technology Co., Ltd.
2 YRS Shenzhen Wefocus Technology Co., Ltd.
2 YRS Jinhua Lucky Technology Co., Ltd.
:0.3kg MEAS:14.5X8X9.5cm One Carton QTY. :20 pcs G.W. :7.7kg MEAS:43X30.5X22cm One Carton QTY. :20 pcs G.W. :7.2kg MEAS:43X30.5X22cm One Carton QTY. :20 pcs G.W. 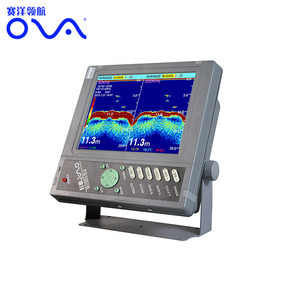 3 YRS Zhengzhou Ledy Optical-Electrical Technology Co., Ltd.
Wireless sonar sensor, provides 90 degrees beam angle and searches fish in large area. Simulation mode helps you to learn how to operate the fish finder before fishing. Compact size easily fits your palm and pocket, very convenient. 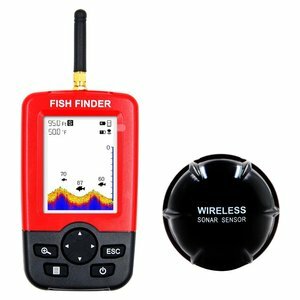 LUCKY WIFI Wireless Portable Mini Fishing Hunter Smart Fish finder For IOS Iphone Android This Wireless WIFI Fish Finder can be used in ocean,river or lake and is fantastic for detecting types of fish in any fresh water or salt water. The WIFI transducer sends a sounds wave signal, the returned "echoes" are transmitted with WIFI technology to the IPHONE , IPAD or other intelligent device, then all the underwater information is displayed on the screen, including the water depth, water temperature, bottom contour, fish location and depth. With selection of 12 (twelve) languages : Russian , German , Dutch , Spanish , French , Japanese , Korean , Hungarian , Portuguese , Polish , English , Chinese and powered by 3.7V built in rechargeable lithuim battery . Q1. What is your terms of packing9 A: Generally, we pack our goods in neutral boxes and brown cartons. Q2. What is your terms of payment9 A: T/T 30% as deposit, and 70% before delivery. Q4. Do you test all your goods before delivery9 A: Yes, we have 100% inspectation before delivery. 10 YRS Shenzhen Phiradar Technology Co., Ltd.
3 YRS Shenzhen Topd Technology Co., Ltd.
4 YRS Ningbo Shengjing Commercial And Trading Co., Ltd.
Water temperature indicator. Most of the order are in stock and shipment can be arranged in 3 working days. For bulk order, sample confirmation in 3 days,order lead time in 5-10 days. 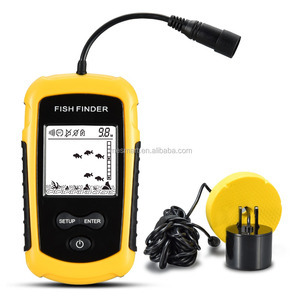 8 YRS Shenzhen Farness Technology Co., Ltd.
Alibaba.com offers 1,261 portable fish finder products. About 78% of these are other fishing products. 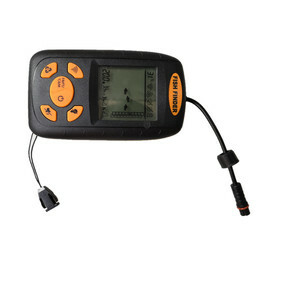 A wide variety of portable fish finder options are available to you, such as paid samples, free samples. 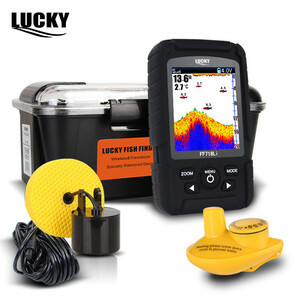 There are 1,261 portable fish finder suppliers, mainly located in Asia. 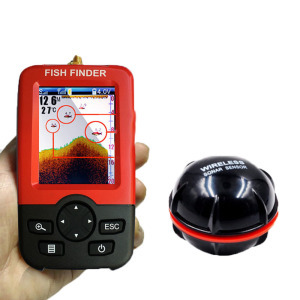 The top supplying country is China (Mainland), which supply 100% of portable fish finder respectively. 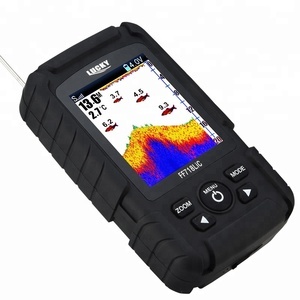 Portable fish finder products are most popular in Western Europe, Northern Europe, and North America. You can ensure product safety by selecting from certified suppliers, including 41 with ISO9001, 15 with ISO13485, and 14 with Other certification.